Is it possible that we have left Christ out of Christianity? Is the faith and practice of American Christians today more American than Christian? These are the provocative questions Michael Horton addresses in this well-received, insightful book. 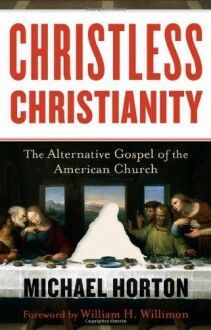 He argues that while we invoke the name of Christ, too often Christ and the Christ-centered gospel are pushed aside. The result is a message and a faith that are, in Horton's words, "trivial, sentimental, affirming, and irrelevant." This alternative "gospel" is a message of moralism, personal comfort, self-help, self-improvement, and individualistic religion. It trivializes God, making him a means to our selfish ends. Horton skillfully diagnoses the problem and points to the solution: a return to the unadulterated gospel of salvation. Now available in trade paper.